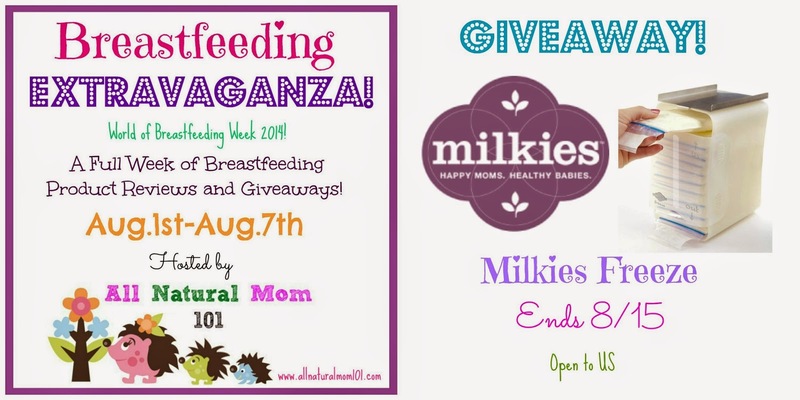 If you are a pumping mom, or a mom that pumps breast milk, then this post is for you. 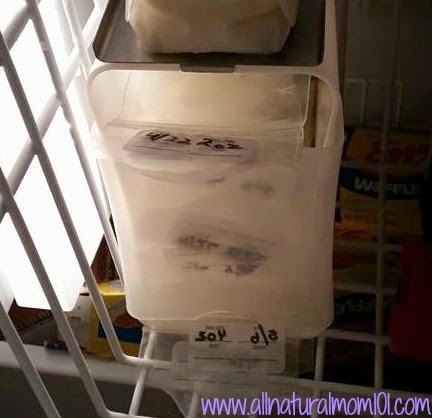 I would like to introduce you to a new system in keeping your frozen beast milk organized. 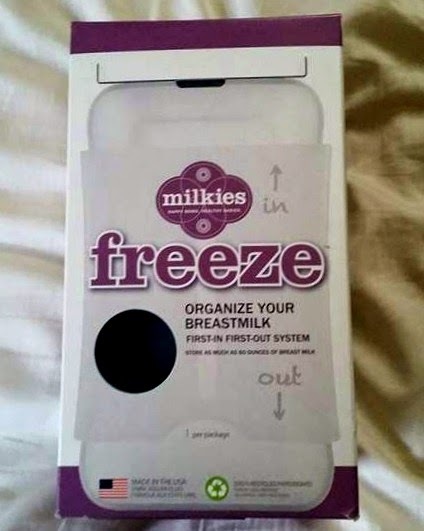 Milkies Freeze is an organized, First-in, First-out system. Milkies is apart of Fairhaven Health. Their mission is to develop products designed to safely and naturally promote fertility pregnancy wellness, and breastfeeding success. Milkies Freeze is an enclosed storage system that keeps milk storage bags protected from damage and prevents leaks. The in and out system is great, making the oldest milk be used first. It can be used with any milk storage bags. Comes with a metal "quick freezing" tray that lays on top of the system holder. Milkies Freeze system can be used in and freezer. My freezer is pull out drawers so it is a little harder to grab and go. I have to be careful opening the drawer so that the holder doesn't fall over, but it is still a great system that I love. This system holds up to 60 oz of breast milk, which holds a lot but I don't pump very much so this system is perfect for me. I like how compact the Milkies Freeze system is. I don't have bags of frozen breast milk taking over my freezer. Check out Fairhaven Health on facebook and twitter! Also check out my review on Milkies Milk Savers. Disclaimer: I was given products in this post for the purpose of my honest review. I was not paid in any way to write this review nor did I pay for the product. This review is sponsored by milkies.